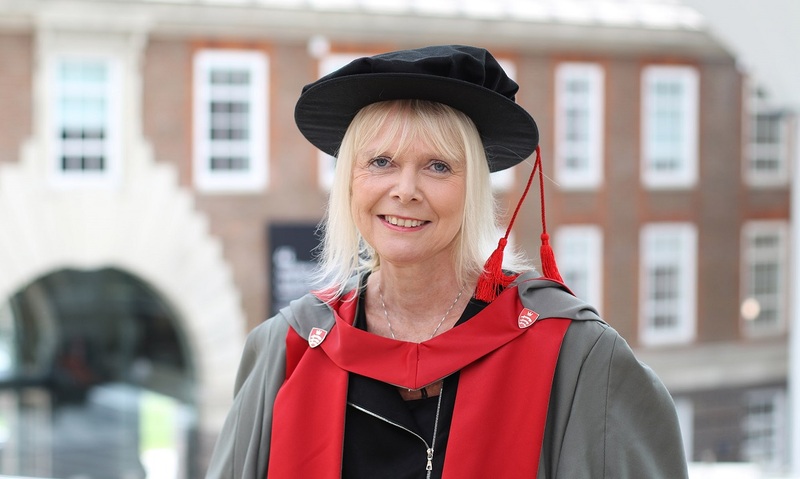 Michelle Green, a specialist in company law from Hampstead, has been awarded an Honorary Degree by Middlesex University. Michelle studied law at Middlesex from 1986 to 1989 where she was awarded the much coveted Maxwell Law Prize. This was to be the first of many accolades; in 2008 she was a finalist for General Counsel of the Year in the British Legal Awards. She is currently a Director of Neuberger Berman Europe Limited responsible for legal, compliance and operational risk. She has sat on the boards of private companies as well as being an active member on the boards of companies listed on the Irish Stock Exchange. Michelle has also spent many years acting as a pension scheme trustee, representing the interests of the company and its employees. Michelle was very pleased to be receiving her honorary doctorate. Professor Tim Blackman, Vice-Chancellor of Middlesex University, was delighted to be welcoming back such a successful alumnus. “By awarding an Honorary Degree to outstanding people the University is recognising achievement at the highest level as well as dedication to public duty and making a difference to others’ lives.